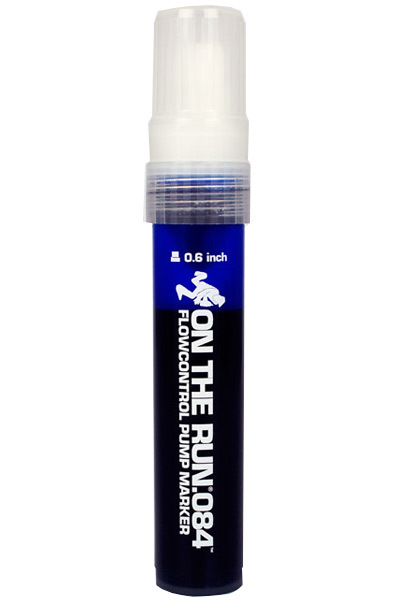 This is the On The Run Flowpen Marker that features ultra smooth alcohol based ink. 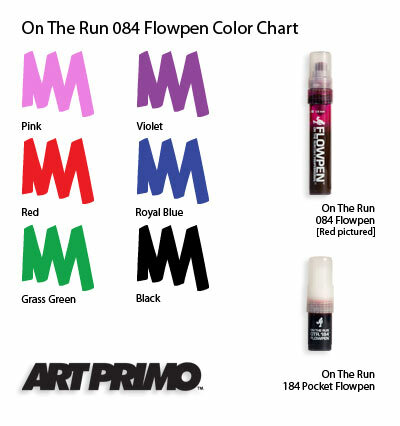 The Flowpen has a pump action valve that gives you control of the flow of ink. 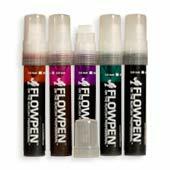 The Flowpen also has special 15mm nib that helps the marker write smoothly. The nib is also replaceable. 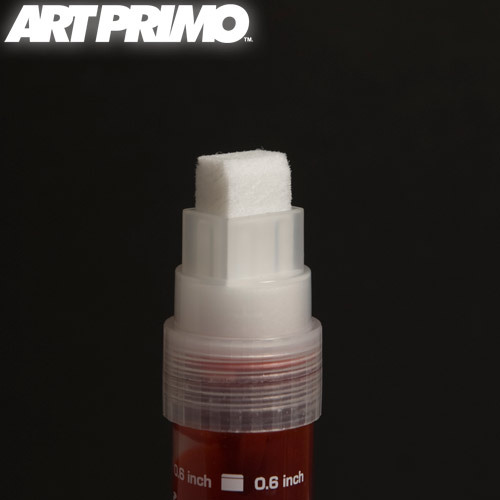 This marker is REFILLABLE. 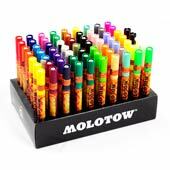 Pros: Solid body, easily replacable nibs, decent ink capacity, can be drippy or not, comes in a wide variety of decent colors. 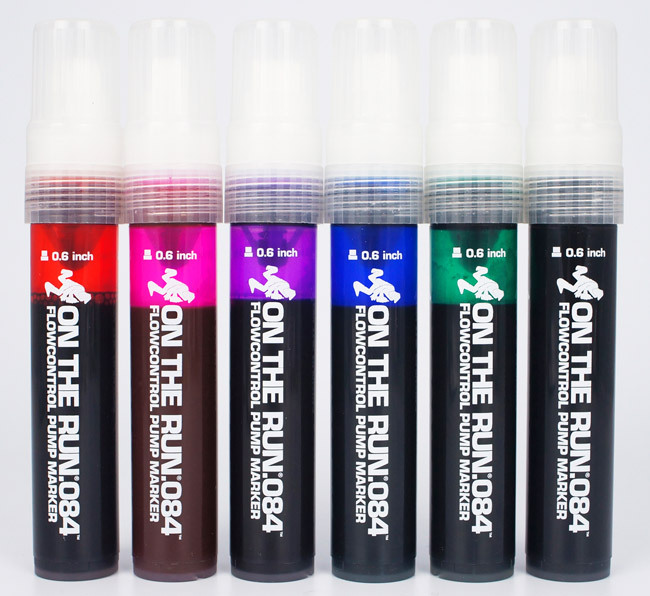 The only real "con" to these markers is that replacement nibs are absurdly expensive (like $2 apiece, which is highway robbery), and also another problem isn't with the markers themselves, but with the ink. 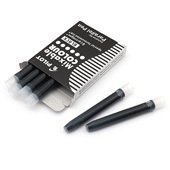 The ink dries very fast and it is slightly sticky, so your nib can drag on lines that you just wrote a moment ago, which can disrupt your flow. If you write really fast it isn't a problem really but if you're taking your time and/or trying to do calligraphy stuff it can mess you up. Also, the ink is pretty easy to buff if you're not writing on a very porous surface. Overall I'd say these are dope and I have no major issues with them, and own several that I use with various concoctions inside.